High-Voltage-Constant-Current-Laser-Driver-ATLSxA218 - Analog Technologies, Inc.
For driving high voltage diode lasers or driving a serial of diode lasers simultaneously, we have developed the ATLSxA218 series of laser drivers/controllers. The input voltage ranges between 5.5V to 15V, and the output voltage ranges from 0.8V to 90% VPS, where VPS is the power supply input voltage. The maximum current capability is 15A. This laser driver is packed in DIP (Dual In Line) through-hole package. We have also developed a load assembly that can be used to emulate the expensive laser diodes for evaluating the laser controllers, which its sole purpose is to help you avoid making costly mistakes when evaluating this series of laser controllers. 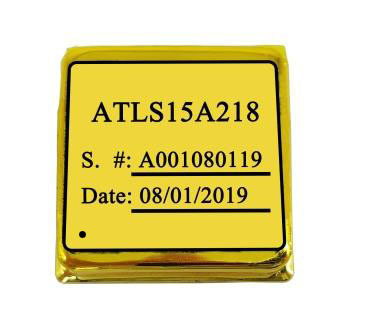 This laser driver, ATLS15A218, features: wide input and output voltage range, high output current capability, high efficiency, low output noise (but with an output 10mVp-p ripple voltage at 500kHz), wide modulation bandwidth, and small size. The wide output voltage range, 0.1VVPS ~ 0.8VVPS, allows driving one or multiple serial laser diodes at the same time, for up to 15A of well controlled current at a very high efficiency rate. The extremely low noise between DC ~ 10Hz and low DC current drift, make it ideal for driving diode pumped laser diodes. Because of the high efficiency, the laser driver generates a small amount of heat, thus, no heat sink is necessary for normal operation. 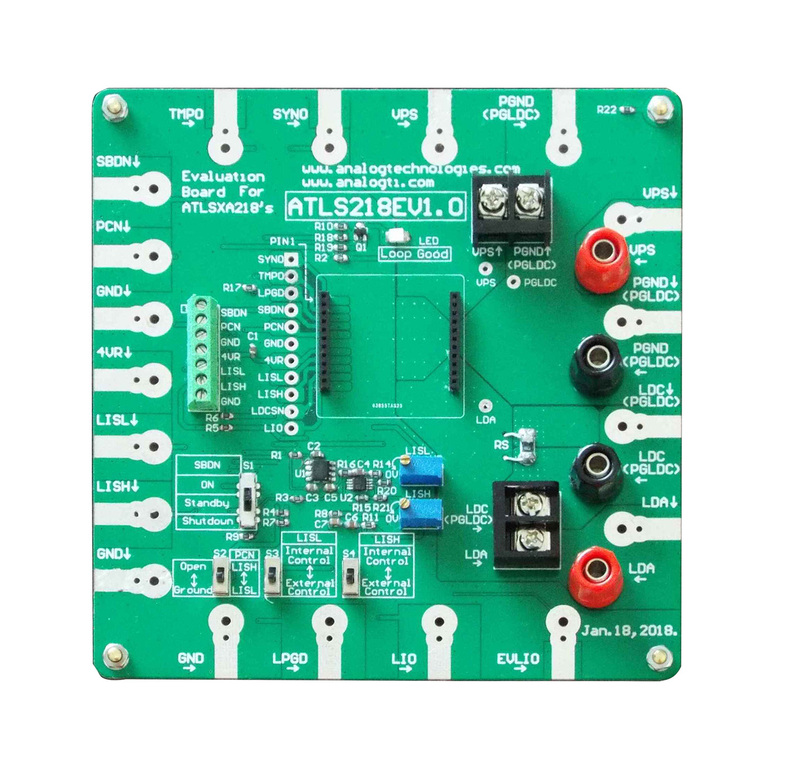 The evaluation board developed specifically for the ATLS15A218 series is the ATLS218EV1.0 and is used for evaluating these laser drivers with confidence and convenience. It is recommended to read the application note with the ATLSxA218D datasheets which provides more detailed information about the specifications and application guidelines for these laser drivers.